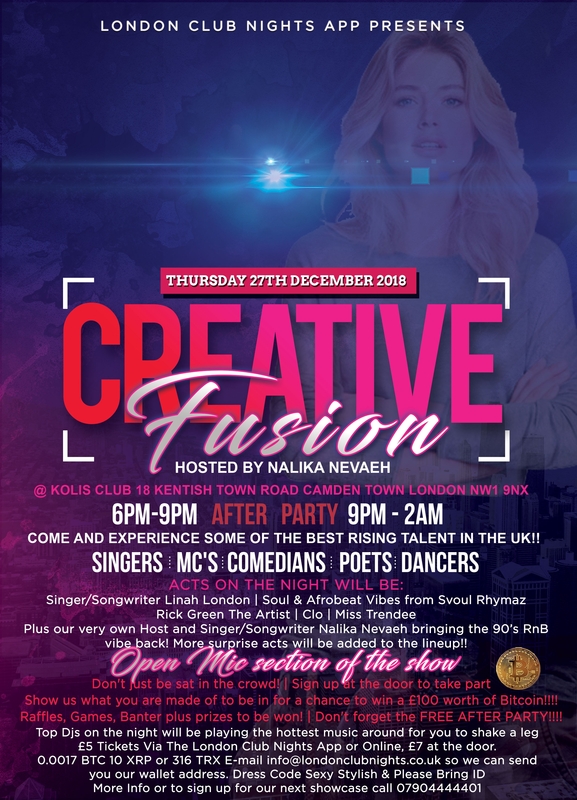 Creative Fusion Shocase & Open Mic £100 Worth Of Bitcoin Up For Grabs! Is coming to the buzzing nightlife of Camden Town!!! Come and experience some of the best rising talent in the UK!! 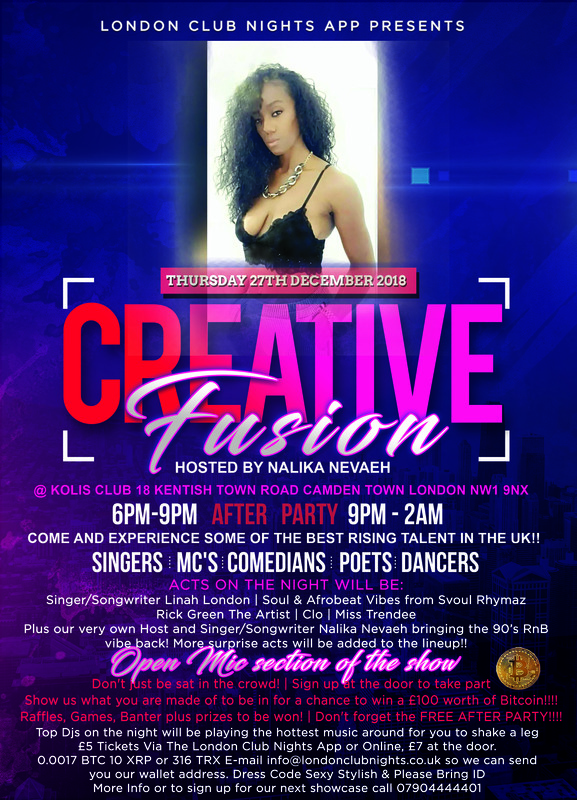 Plus our very own Host and Singer/Songwriter Nalika Nevaeh bringing the 90s RnB vibe back! ...More surprise acts will be added to the lineup!! Don't just be sat in the crowd! Open Mic section of the show!!!! Show us what you are made of to be in for a chance to win a £100 worth of Bitcoin !!! Raffles on the night to win something special! Games and banter plus prizes to be won! Don't forget the Free AFTER PARTY!!! !